We have already shown you How To Add Intense Debate To Blogger Blog. Now in this post we will explain how to add DISQUS Comments to your blogger blog. 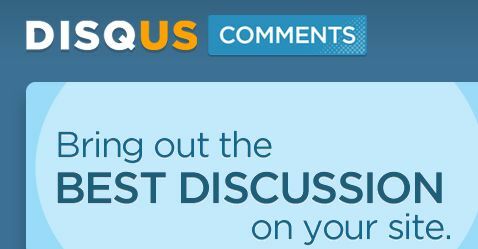 DISQUS is a very popular blog comment system which is being used by many popular blogs like Mashable. Adding it to your blogspot blog is simple and it won't take much time to add it to your blog. First visit DISQUS Comments and create an account and register your blog. Once you do that, you reach the Quick Setup page where you can choose the preferred language. 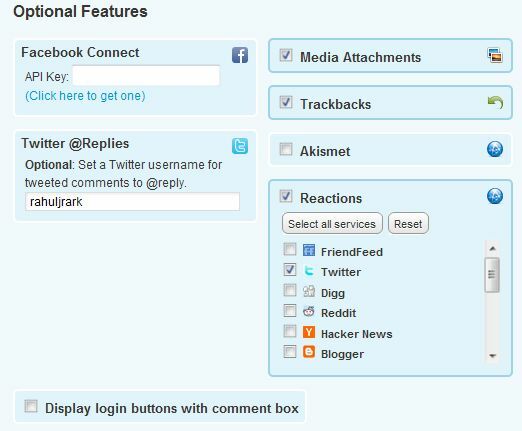 Other options include, adding Facebook Connect, Media Attachments, Akismet, Reactions, Trackbacks. Once you select the options, click on the Continue button. You will see a list of blogging platforms where you can install DISQUS. Choose Blogger as your platform. Now you will see Installation Instructions for Blogger platform. First you have to download the Blogger template on which you want to add DISQUS. To download the template, visit the Edit HTML option in Design section of the blog. You will find the Download Full Template option on that page. Now you have to upload the template and decide whether you want to add DISQUS only on new posts or on all the blog posts. Now you will be taken to a page where in the first step you will see your template code which you will have to add to your blog. Select and copy the code given in step 1 and then go to Edit HTML option of your blogger blog. Select the Expand Widget Templates option. Now select all the code given below and replace it with the code given in Step 1. Once you have replaced the code, Save the template and check you blog. You will see that DISQUS has been added to your blog. In the 2nd Step you will have to import the existing comments if you have selected to add DISQUS on all blog posts. If you were using other comment systems like Intense Debate, JS-Kit on your blogger blog, then you can also import the comments. You have to download the Comments XML file from the earlier comment system and upload it to DISQUS. That's it, now DISQUS has been installed on your Blogger blog. Hope you loved this post.